I don’t wear a TON of makeup, but I do like to wear gel eyeliner (the kind you apply with a brush) everyday, along with a finishing powder and I tend to think my lipstick stays on longer when I apply it with a brush. When I’m going out I will occassionally use a foundation brush as well. It’s really important to keep those brushes clean! So here’s my simple recipe for how I clean my makeup brushes. Organic aloe vera gel – I don’t really use the leaf (it gets too sticky), I actually use this brand. Organic coconut oil – If you can’t get your hands on organic, virgin is just fine. I like this brand. 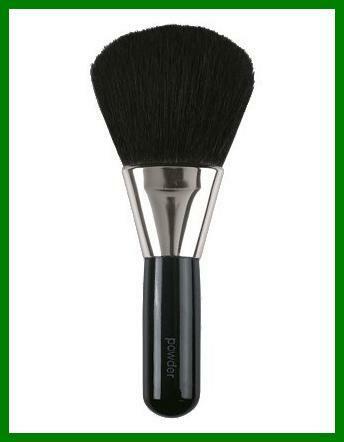 Rinse excess makeup from brush to be cleaned and shake or tap off excess. Emulsify (melt) a small amount of coconut oil in your hand or in a small bowl or saucer. Squirt a few drops of aloe gel right on top of the coconut oil and mix into a thin paste. 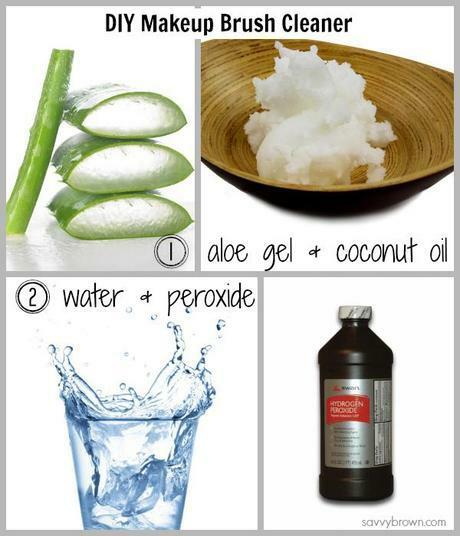 Use a clean cloth to wipe off excess oil and makeup with it. Repeat this process until the brush is clean. When you are finished cleaning the brush with the oil/gel mixture, then wipe brush clean and place bristle side down directly in the water/peroxide mixture. (You don’t have to cover the whole brush, because the bristles will “draw” the substance like a tea bag). I tend to “assembly line” my brushes. So while I’m cleaning one, I’m disinfecting the other and then drying and so on. I do this whole process every couple of weeks. Although, I have been known to use the oil/gel part a few times a week. Especially if I’m wearing waterproof eyeliner. • How do you clean your makeup brushes?